On Sunday, April 7, Will Gregg came home to the Community Hour at Old South Church and brought with him a remarkable documentary. Will grew up at Old South, and the short film, which he described as “no budget”, was made as a senior thesis project with five of his college classmates. It has gone on to win awards and to appear at various film festivals. 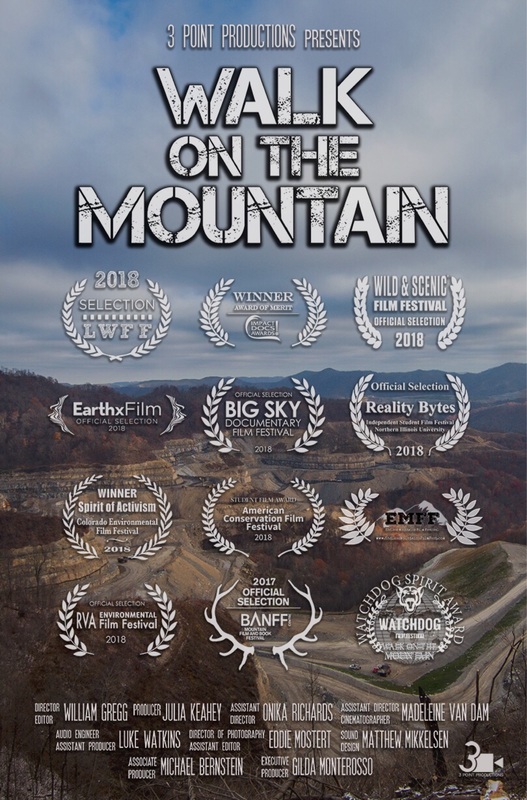 “Walk On the Mountain” tells the story of the devastation of rural West Virginia by the coal industry. The footage of the ravished landscape is heartbreaking. The main narrative follows Junior Walk, native of the area and anti-coal activist. Despite numerous threats and personal danger, he is dedicated to trying to stop the further destruction of the land. However, as Will pointed out and the film shows, this is not a simple story. There are also real people on the other side of the coal issue – miners whose livelihood depends on the mines and families worried about the survival of their community. At the conclusion of the film Will was swarmed by people wanting to talk to and congratulate him, among them his proud parents and long-time Old Southers, Russ and Marcia Gregg. As one member or the audience observed, if this is what Will can do with no budget, imagine what he could do with a real budget. We are very grateful he shared his gift with us.